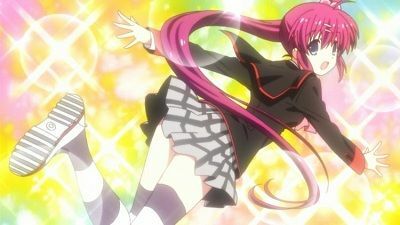 The Best Episodes of Little Busters! After having the Little Busters once again reunited, Riki suggests for them to play baseball, and the others accept. 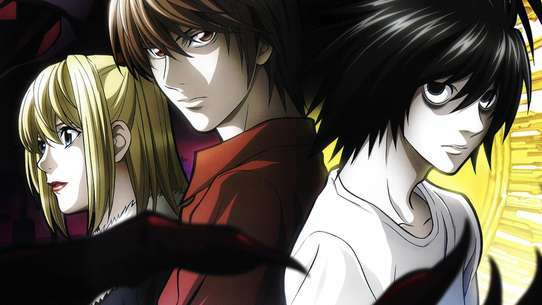 During the match, Kyousuke reveals to Riki that the world they are currently in was created by him and the others after a bus accident killed all students aboard except for Riki and Rin and to prepare them to move forward with their lives, they put the duo on a series of trials to have them mature and become stronger. After Masato and Kengo bid their farewells, Kyousuke instructs Riki to take Rin past the school gates back to the real world, as the time for them to part has come. 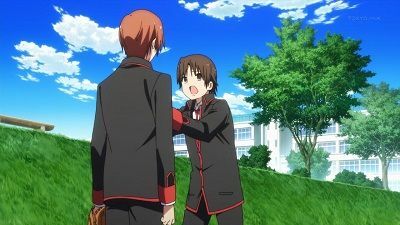 As Riki and Rin get past the gates, Kyousuke has one last tour arround the school before sitting on his desk and disappearing along the world he created. Riki is resolute that he will not forget about Mio, but Midori plays around with his memories of her, leaving him unsure about how much of his memories of her are real. Riki seeks help from Kyousuke, but all he can offer is to tell Riki to not trust anyone but himself for the sake of Mio. Riki suddenly remembers Mio saying she was going to submit a tanka in the school's competition, and discovers that the poem is about the conversation they previously had about the paper airplane. After talking with Midori, Riki realizes Mio is at the beach, where the two reunite. 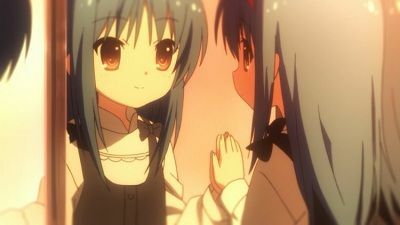 Mio tells Riki how she first "met" Midori as a child, who is in fact an imaginary little sister she created. Mio's mother eventually gets her medical treatment until she finally forgets all about Midori. However, she remembered her after reading the tanka by Bokusui Wakayama about the bird and the ocean, which caused her to black out. After she came to, she realized her shadow was gone. Riki pleads with Mio to come back with him, but she refuses and turns into a bird, flying away. Riki begins to sob over losing her, but is reinvigorating after receiving a call from Midori. Riki goes into the ocean and locates her, where he once again pleads for her return and ultimately witnesses Mio and Midori becoming one person. Afterward, the two find themselves back on the beach, and Mio has her shadow back. They go back to school and rejoin the rest of the Little Busters. Riki sees the girl who looks like Mio in the courtyard, but she disappears soon after. Mio remains absent from school for several days, and people around Riki start slowing forgetting about her. The next day, Riki finds Mio in the courtyard, who gives him her treasured book of poems and invites him to go with her to the beach. 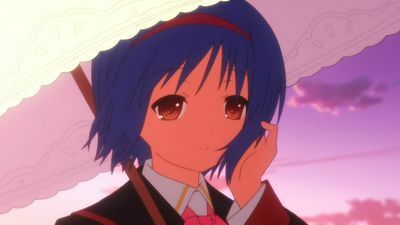 Midori, the girl who looks like Mio, shows up at the beach and reveals that the reason why Mio always carries a parasol is to hide the fact that she has no shadow. Upon learning this, Riki suffers an attack of narcolepsy, and when he wakes up, he is already back in his dorm room, but cannot remember what happened at the beach. 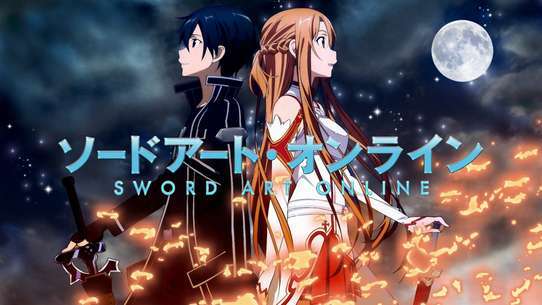 Life returns to normal, until Riki rediscovers Mio's book of poems and goes to look for her in the classroom. However, Midori comes in and everyone except for Riki know her as Mio. While mulling over Mio's disappearance, Midori confronts Riki and wants him to call her Mio like everyone else, which Riki refuses. Midori points out that she also does not have a shadow, and Riki thinks that Midori may be Mio's shadow. Midori says that eventually, he too will forget about Mio. Having another attack of narcolepsy, Riki realizes that he always falls asleep at the sight of unpleasant situations, since he saw his parents' dead bodies in a car accident when he was a child, and determined to overcome this weakness, he awakens with Rin's help. Knowing that the bus will explode, Riki and Rin start rescuing the other students from the wreckage only to discover that Kyousuke is using his own body to prevent the gas from leaking further, leaving the duo no other option but to pick him up after carrying all the others to safety. 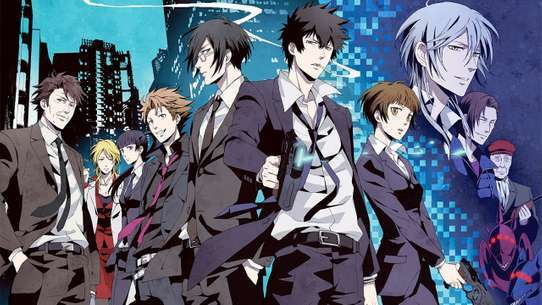 The bus explodes just after Riki and Rin return to rescue Kyousuke, but the incident ends with no deaths. 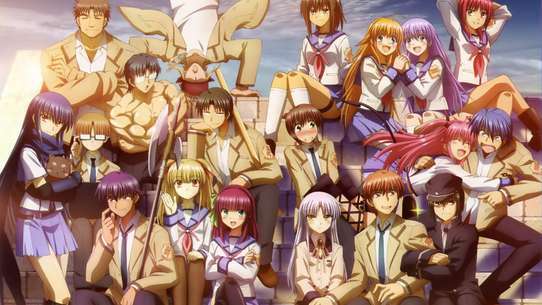 Three months later, all of the students have returned from the hospital except Kyousuke, who is still in a coma, and the other Little Busters spend their days together, waiting for him to return. Once Kyousuke finally returns, the Little Busters have their own, private field trip to the beach together. The day of June 20 keeps repeating without anyone taking heed of it, except for Riki himself, and no one else seems to find it strange even when it starts snowing. Riki decides to look for Kyousuke to ask for his advice but he is nowhere to be found. 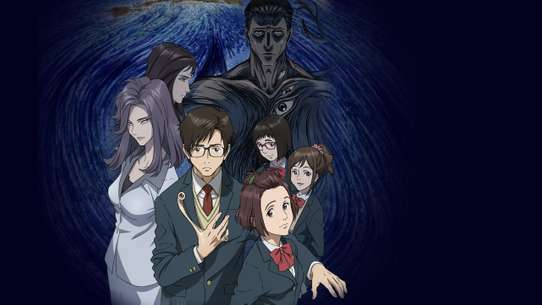 However, Riki learns that Yuiko is the only other person who knows the truth and she claims that it all is her fault. 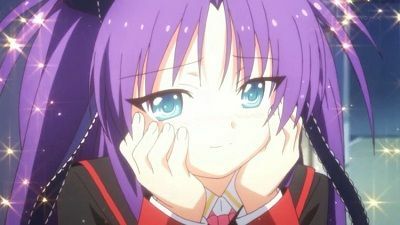 Her wish for staying with the Little Busters forever had been granted in the form of a dream, and she tells Riki that she only knew what happiness was after meeting Riki and his friends. Yuiko tells him that things will return to normal when he wakes up from the dream, but Riki will forget everything that happened. 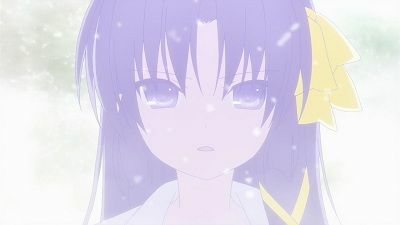 Before bidding farewell, Yuiko warns Riki to take care of Rin, as the "fated day" is at hand. 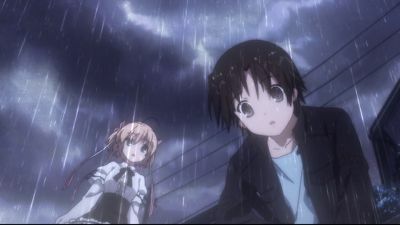 As it begins to rain, Haruka confronts Kanata and discovers that Kanata had lied to her when they were younger about being allergic to eggs. After Kanata leaves, Kudryavka tells Riki that she is a nice person when inside their room, and merely pretends to usually be cold. Riki finds Kanata in a classroom and she tells him how she told Haruka she was allergic to eggs to protect her from getting beaten by their family, but Haruka finds it difficult not to shoulder all of her hate onto Kanata. Later, Riki convinces Haruka to go talk to Kanata, and she tells her she wants to know the truth about their family. Though initially reluctant, Kanata tells Haruka that their family was nice to her as long as she was better than her, and that the Futaki family often beat Kanata whenever she went easy on Haruka. Kanata had to secure the succession of the Saigusa family and be hard on Haruka, or else they would have killed Haruka. Haruka apologizes for thinking that she was the only one having a hard time, and she reconciles with her sister. Kanata decides to leave the family and the two go see Shō, who tells them their mother and their other father tried to leave the family with Haruka and Kanata, but the Saigusa family took the kids back, prompting Shō to intercede and ultimately go to jail as a result. Haruka tells him that she does not have to know who her real father is anymore, and later, Haruka and Kanata go see their mother and other father. Riki's next step to reassemble his friends is to convince Kengo to join their side, but Kengo refuses to listen to him, claiming that all Riki and Rin need to do is to rely on their friends. Riki visits Kyousuke, who hints that Kengo is lying about something and Riki realizes that Kengo's arm is not injured as he claims. 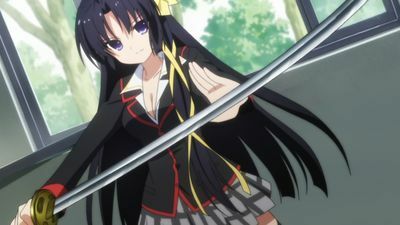 Rin learns from Masato that Kengo originally joined the Little Busters after Kyousuke defeated his father in a kendo match. 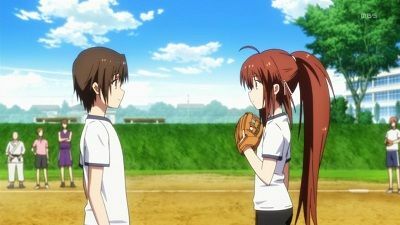 This leads Riki to challenge Kengo to a baseball match instead, with the first one to strike a home run being the winner and Kengo rejoining the Little Busters should he lose. After several attempts, Riki manages to land a home run but is too exhausted to throw the ball, so Rin takes his place. Rin's throws are fast but with initially no control, and when she manages to throw the ball properly, she succeeds in having Kengo strikeout, winning the match. Kengo rejoins the Little Busters, determined to follow Riki as long as he can. Riki and Rin awaken in the real world and reminisce that during their field trip, their bus got into an accident and Masato and Kengo used their own bodies to protect them. Despite injured, they flee from the site of the accident to avoid being caught in the impending explosion but after reaching a safe distance, Riki leaves Rin behind to return and attempt to help the others. However, he starts suffering another attack of narcolepsy and struggles to keep himself awake. Meanwhile, Rin has a meeting with Komari and the other girls in spirit and wishing to not part ways with them, she decides to look for a way to save them as well. Haruka tells her friends how she and Kanata were born from two separate fathers, one of whom, Shō Saigusa, was the one previously arrested. Due to this, the Futaki family took control of the Saigusa family, and Haruka and Kanata were compared from early on to decide which one of them would be the heir to the family. After Kanata was chosen to be the heir, Haruka was blamed and tormented by the family, so Haruka chose to make trouble for Kanata so that she would get scolded for not keeping her in line. Haruka initially believes her friends will abandon her after knowing the truth, but they resolutely reassure her that they would never abandon her. 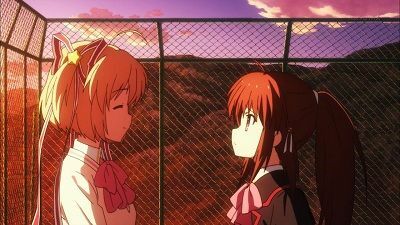 Later, the Little Busters play baseball until Haruka is able to smile again, though afterwards Kanata warns her not to drag her friends into any trouble. Another day, Haruka bakes chiffon cake, but it turns out dry. Haruka goes see Shō to find out if he is in fact her father, but he does not tell her. Later that night, Riki tells Kanata that he just wants to help Haruka like he was helped in the past, but he apologizes for his arrogance. The next day, Haruka shows Riki some chiffon cakes she baked, and he is surprised at how much better they taste this time. However, it turns out that this was merely Kanata disguised as Haruka, who suddenly shows up shocked. Riki helps his classmate Kudryavka Noumi move her boxes into her new dorm room one afternoon. The next day, Riki goes to the roof looking for Komari to thank her in place of Rin for taking care of one her cats that was injured. He finds her asleep and hears her sleep-talk about her brother, but when Riki asks Komari about him, she says she is an only child and that her brother only appears in her dreams to read her a picture book with eggs and chicks. The next day, Riki and Rin go to the roof and find Komari a little sad. She had found the picture book from her dreams with the name Takuya Kamikita on the back, but her mother will not tell her anything about having a brother, and Komari cannot remember anything about him. Komari asks Riki and Rin to accompany her to a retirement home, and the other members of the Little Busters decide to join in as well. They spend time with the retirees, talking with them and cleaning their rooms. Riki cleans the room of a cross old man named Kojirō who normally scares anyone away by yelling at them, but Riki stays and cleans his room regardless. After he scares away Komari, Kojirō reveals his full name to be Kojirō Kamikita and tells Riki to keep her away from him. After waking up, Riki learns from Yuiko that she was taking care of him while he was asleep and cannot shake the suspicion that the whole situation has happened with them in the past. Some time later, Kyousuke and the other boys point out that Riki is behaving strangely since his last encounter with Yuiko. 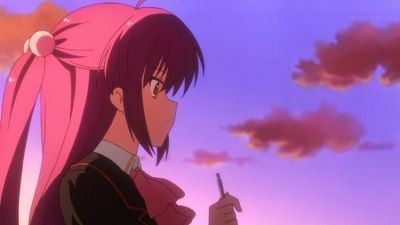 Believing that he has fallen in love with her, they decide to have him lure the girls to the school building as they prepare a fireworks show for them, with instructions to find a way to get alone with Yuiko to set up the mood for his "confession". Wondering if he is actually in love with someone, Riki does as they say, but ends up alone with Yuiko by accident when the fireworks begin. The following day, Riki realizes that the same events of the previous day are being repeated as the date is also the same, June 20. Following the loss of their first baseball game, the Little Busters have a pancake party. While returning from the party, Yuiko overhears some girls badmouthing her, claiming that they will pay her back for being humiliated in the past. Some time later, Riki and the others learn that someone had filled Kudryavka's bag with thumbtacks and destroyed Komari's notes. Suspicious of a girl who was overhearing them, Riki follows her and finds the same girls Yuiko had noticed the other day in a classroom, figuring that they are the culprits. Despite being confronted by Riki, the girls claim that there is nothing he can without any evidence of what they did, until Yuiko appears and plays a recorded conversation between them that proves their involvement. Despite that, the girls refuse to give up and claim that they will keep tormenting Yuiko's friends until Yuiko destroys the room's door with a single kick and threatens to do the same with their faces, forcing them to give up. When a teacher arrives and discovers the damage, Kyousuke and the other boys cover for Yuiko and Riki as they escape by themselves to the broadcast room. The room seems familiar to Riki despite never having been there before and with his memories confused, he suffers another attack of narcolepsy and collapses. Riki is tasked with finding the last member of the Little Busters to have a full baseball team of nine. Riki hits a foul ball that hits Mio and he brings her a compress the next day. He notices that Mio always has a parasol and that he always sees her reading under the same tree in the courtyard. Their other classmates call Mio "shadowless" because of the parasol and the fact that she does not have much presence. 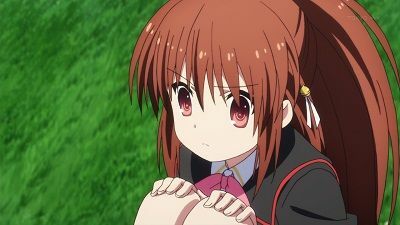 Riki wants to help her like Kyousuke and the others helped him, so he asks Mio if she would like to join the Little Busters, but she declines. Later, Yuiko enlists the help of Riki to help find Mio's book. They go back to the classroom, but are unable to find it, thinking that someone may have hidden it as a joke. However, Yuiko arrives to explain that there was no wrongdoing, and the girl who had picked up the book before gives it back to Mio. Some of the Little Busters members come to get Riki for practice and Mio goes to watch them play. #15 - Hell Yeah, This Totally Rocks! After an initial failed attempt by Komari and Kudryavka to get Riki to follow them because of something 'serious', Rin texts Riki to come to her room in the girl's dorm. 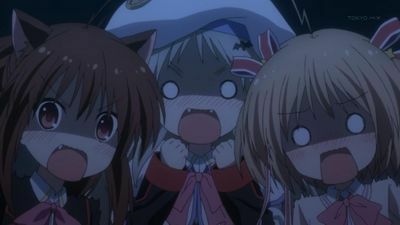 Narrowly escaping detection by Kanata and the other disciplinary committee members, Riki makes it to her room to find the rest of the female Little Busters members together for a sleepover. Kyousuke calls Riki and surmises that he has been kidnapped by the girls, so he, Masato and Kengo play games to figure out which one of them will go to rescue Riki. After eating some pastries, the girls take turns bathing until Riki is last. However, he later finds his clothes have been replaced by a girl's uniform, which he reluctantly puts on. The resident assistant of the girl's dormitory drops by to tell them to keep the noise down if they do not want a visit from the disciplinary committee. Afterward, they rolls up some newspapers and start hitting each other, which ultimately causes Kanata and several other disciplinary committee members to warn them about being too loud. Luckily, Kanata does not recognize Riki while he is cross-dressing. The next morning, Riki leaves after thanking Yuiko for helping Rin socialize with the other girls. He runs into Kyousuke who had just won the right to go rescue him after playing games the whole night. Masato battles Haruka after she eats some of his katsudon, but he loses quickly. Later, Riki, Rin and Komari watch as Haruka starts to repair a bench which she has fond memories of, but Kanata arrives and points out that the bench was already going to be destroyed so there was no point in trying to repair it. Haruka and the others watch as two other disciplinary committee members destroy the bench and take away the remains to be incinerated. Haruka is taken away to the disciplinary committee to answer for her numerous infractions, but she loses her composure from the committee members laying countless blame on her, including accusing her of wrongdoing she did not commit. Before she can make things worse for herself, Yuiko intervenes and calms the situation, though Haruka is still ultimately punished. Another day, the whole school is in an uproar after flyers are posted all around school saying that Haruka's father is a criminal. 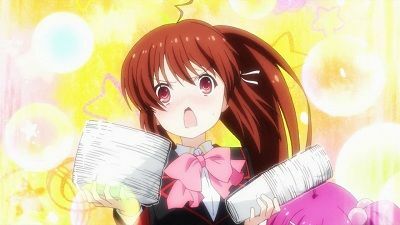 The members of the Little Busters go around school collecting and taking down the flyers until they finally find Haruka, who had been crying alone in the baseball clubhouse. She explains that in her family, each woman takes two husbands, and one of her mother's husbands was later arrested for murder and attempted arson. Finally, Haruka reveals that she and Kanata are in fact twins. 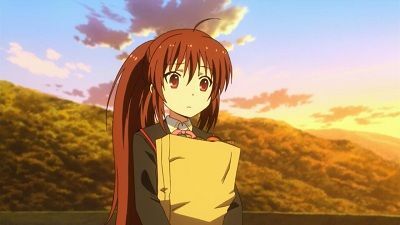 After Riki and the others after Rin leave the school without a word, Riki is then left with the impression that Kyousuke sent her away and that he is trying to break apart the Little Busters. 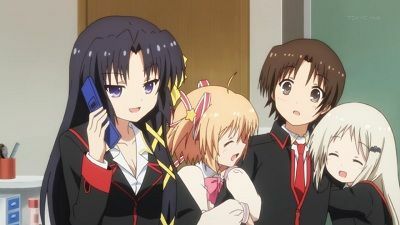 Riki continues getting text messages from Rin saying that she does not know what to do at the school, and he all he can do is tell her to "hang in there". Concerned for Rin being isolated, Riki decides to go after her, but he is stopped by Kyousuke, who makes a deal that he will bring her back for weekends only. When Rin come back the following weekend, she is depressed and stays in bed. Riki goes to Kengo for advice, who tells him he has to fight Kyousuke to keep Rin from going back to the school. Kyousuke agrees to settle it over a baseball game with Masato as his partner, but Riki and Kengo ultimately fail. Kengo claims that Kyousuke rigged the game and punches him before being restrained by Riki and Masato. The next morning, Riki tells Rin that they are running away together. They travel to a house in the country where they played as kids, but they are eventually discovered by the police who raid the house. As her friends in Japan learn that an uprising started in Tebwa following the failed rocket launch, Kudryavka meets her grandfather where he is in hiding and learns that her mother survived the explosion. As her grandfather leaves to pick up her mother, Kudryavka is captured by the rebels and imprisoned in a cave. As her friends keep wishing for her safe return, Riki holds on to the gear she left behind, a memento of her mother's, and it mysteriously appears in Kudryavka's hands, which she uses to break free. Some time later, the uprising is quelled and Kudryavka reunites with her mother for a while before she returns to Japan and rejoins her friends. Riki wants Mio to be included among his friends, so he asks her to be the team's manager, which she ultimately accepts after initially thinking they were starting an all-male idol group. After practice, Mio brings everyone hot drinks and they exchanges phone numbers with her. The next day, the Little Busters get together to write tanka poems, but Mio leaves part of the way through. Riki finds her sitting under her usual tree, and after talking for a bit, Riki feels as if Mio wants to disappear. Riki tells Mio that he saw someone who looked like her in town, but she was no carrying he usual parasol. Before leaving, Mio tells him that she plans on submitting a tanka in a competition held at school. The next day, Mio does not show up at school, and Riki overhears his classmates saying they also saw a girl in town who looked similar to Mio. After school, Riki sees the girl standing below in the courtyard. 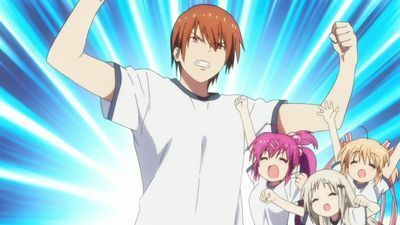 The members of the Little Busters baseball team have morning practice, though Rin is less than enthusiastic. Masato gives Riki back his idiom dictionary, albeit damaged and smelly, in a plastic bag. 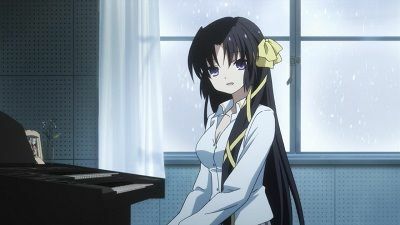 Haruka Saigusa, a girl from a different class, wantonly borrows the dictionary before Riki can stop her, and upon chasing after her accidentally runs into the desk of Yuiko Kurugaya, a genius girl who is often absent from class. While during a class break when Riki is trying to buy a drink from a vending machine, Yuiko drags him away to a spot with a few chairs and a wooden box she set up among some hedges. They spend time talking, and ultimately Riki loses track of time, later dashing back to class when he hears the bell. Haruka gives Riki back the dictionary and berates him over its disgusting state under the cover. When Masato and Kengo are about to have another fight, Yuiko intervenes, causing Kengo to lose interest. Yuiko and Masato initially fight with the rules Kyousuke previously set up, but Yuiko loses after she severely kicks Masato several times. 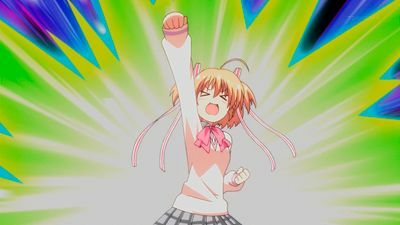 Later, Yuiko catches the Little Busters during practice and joins the team, proving to be a powerful asset. On the school's roof, Riki finds Komari Kamikita, a clumsy girl from his class who loves sweets. Riki tells her he wants to recruit her for the baseball team, but he soon realizes that she may not be well suited for baseball. Later, Riki goes to find Rin after she shirks her classroom duties to play with several cats. One of the cats has two notes tied to it, the first of which says that there is a secret to the world and if they want to find out what it is, they have to complete several tasks first. The second note lists their first task: Fix the sanitation problem in the boys' dorm storage shack. Riki doubts the sincerity of the notes, but Rin is excited to take on the first task. She later gathers up Kyousuke, Riki and Masato to go clean the storage shack. Komari finds them there and agrees to be join their baseball team, but first she and the others go to work cleaning up the shack. On the baseball field, Komari displays a complete lack of athletic ability, but Kyousuke still welcomes her onto the team after she replies to his question of what is necessary for baseball with the answer, "Guts, bravery and friendship." Soon after, Riki collapses from an attack of narcolepsy, which he has had since childhood. After being left in charge of the Little Busters, Riki is struggling about what he should do since he no longer has Kyousuke to lead him, Kyousuke himself explains Riki he is now stronger than ever and all the things he's done, wether he realised it or not, proved that he was stronger than he believed he would be, Kyousuke leaves, telling Riki to become stronger. In the club room, still struggling, Riki gets encouragement words from Haruka and Mio who explain how Riki saved their lives. On the rooftop Kurugaya, Komari and Kudryavka also explain how Riki helped them overcome their problems and saved their lives. With all this in mind Riki comes up with a strategy to defeat the oponents' team. 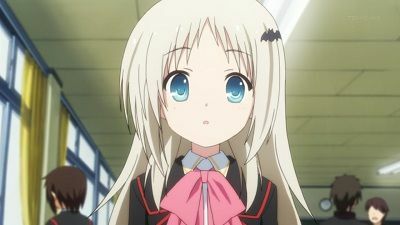 During the game the team is being watched by all their friends (even Sasami and her minions) and successfully defeats the other team, leaving them victorious as the Little Busters. 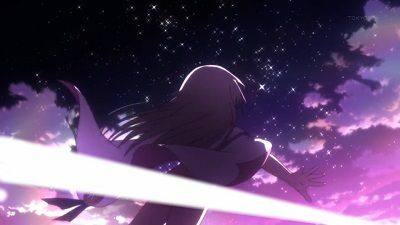 After the credits some scenes are shown that are similar to the Little Busters visual novel's Refrain route after Kyousuke's plan went into action. 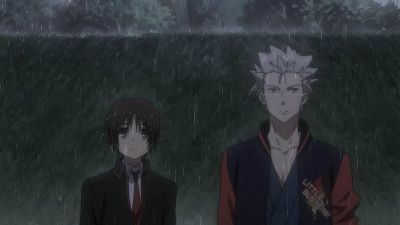 They depict Rin leaving the school and Kyousuke and Kengo fighting in the rain after their baseball match. 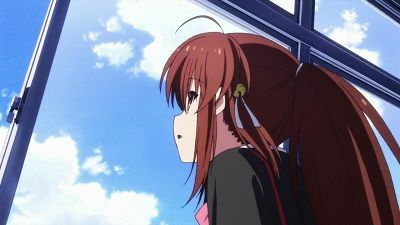 The episode ends with the title screen of "Little Busters Refrain" (the visual novel's final route) and Kyousuke's voice saying "The time that had stopped begins to move once more" implying there is still a secret to this world to be discovered and the story is not over yet. 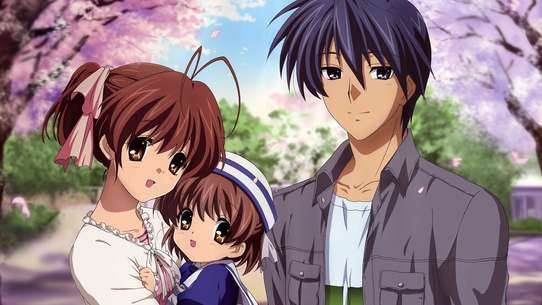 Komari continues to dream about her brother, and Riki goes to see Kojirō to learn more about Takuya. Kojirō merely tells him that he should not pry further into the matter if he cares about Komari. 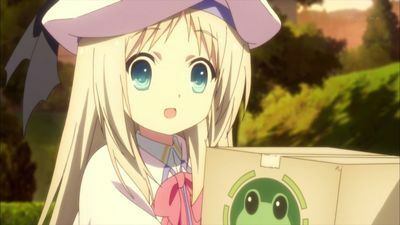 Unable to sleep, Riki goes out to buy a drink and encounters Komari at the school gate, who had gone out to buy snacks. She invites him up to the roof to watch a meteor shower, where the spend the rest of the night. Komari asks Riki to go on a date with her so she can search for her lost memories. They take a train to go to where Komari used to live and they end up taking a boat out on a lake. Riki suggests to her that she does not necessarily have to look for her brother, and Komari jokingly asks him if he will be her brother. 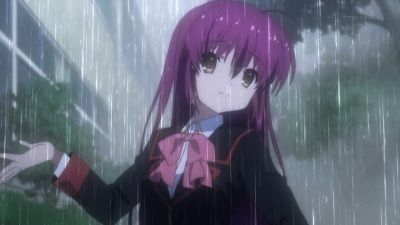 It starts raining on their way back towards school, and while running to find shelter, Riki spots a dead kitten. Komari starts sobbing uncontrollably as she recalls memories of her brother. While thinking about what Yuiko said to him, Riki is approached by a girl who confesses her feelings for him, but claims that she knows he already likes someone else and flees. Wondering what she meant, Rin's image come to Riki's mind, and upon learning what happened, Kyousuke reveals that a third-year student had also confessed to Rin, but he helped her decline him. Later that day, Rin asks Riki to help her buy some cat food and on the way back, she suggests they start dating and Riki agrees after confirming that she likes him. Riki has trouble trying tell Kyouske about it the next day, but Kyousuke claims that he already knew about it. Riki and Rin later tell the rest of the Little Busters, who congratulate them, but Riki chases after Rin after she runs away embarrassed. The white cat Lennon brings them another mysterious letter telling them that they have one final task to do before "learning the truth of the world", which is to "volunteer themselves during homeroom". Another mysterious letter arrives for Rin and Riki, telling them to ease the lovesickness of a second-year boy named Aikawa who likes Sasami. They start by asking Sasami what her hobbies are and the type of guys she likes, only to find out that she likes Kengo, though he has no interest in her. Aikawa is shocked to hear Sasami likes Kengo, but Rin urges him to sing a hip-hop song to Sasami with some original lyrics to imply his love for her. Aikawa accidentally messes up the last line in the song, leading Rin to suggest a three-way attack on Kengo to get Sasami to fall for Aikawa. However, this backfires and Kengo ends up taking down Aikawa. Sasami arrives on the scene, impressed by Kengo's athleticism. Aikawa decides to give up, and Riki later realizes that they merely have to ease the pain of his unrequited love to fulfill the request. Rin goes to apologize to Sasami, who ultimately agrees to hand over her email address after sympathizing with what Aikawa is going through. Rin gives her email to Aikawa, who thanks her for it.